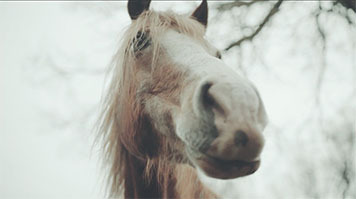 The film, called TRiGGA, is about a young girl’s imaginative way of overcoming bullying with the help of her horse. TRiGGA Crowdfunding video from Meloni Poole on Vimeo. The funding comes through Creative England’s iShorts scheme with support from BFI NET.WORK. Together they will provide half of the films’ funding costs along with industry mentoring and support. Meloni, a Lecturer in Film Practice at London South Bank University (LSBU), (who has made films for Film4, the Film Council, the British Film Institute and The Arts Council of England), has written, and will direct, the film. TRiGGA is inspired by true events and follows the story of a young girl, Mae, who is a victim of girl to girl bullying. As physical assaults become a daily occurrence, Mae escapes the harsh reality of the bullies by spending time with her trusty steed, TRiGGA. Eventually, through this relationship, she is able confront her bullies and end the abuse once and for all. Meloni said: “I'm thrilled to have the opportunity to make this film. It really draws on the impact that physical bullying can have and doesn't shy away from the harsh reality of this abuse. It also highlights an important inspirational message of how to find ways of coping with difficult situations. “As a child I spent a lot of time with horses, so I understand the strength and calming presence that horses can have. This type of therapy is all about relationship building, trust, connection and strength. To find out more about the TRiGGA project, or to donate, please visit the crowdfunding page.